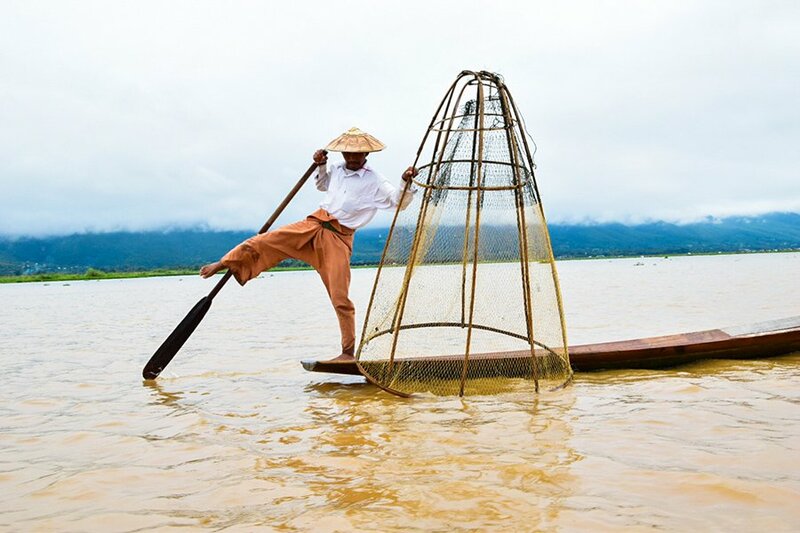 Inle Lake is known for its unique style of fishing. All photos by Sofi Pechner. Photographer digs into her archive for her favorite photos of Myanmar, a colorful and welcoming country that remained closed to outsiders for 50 years. 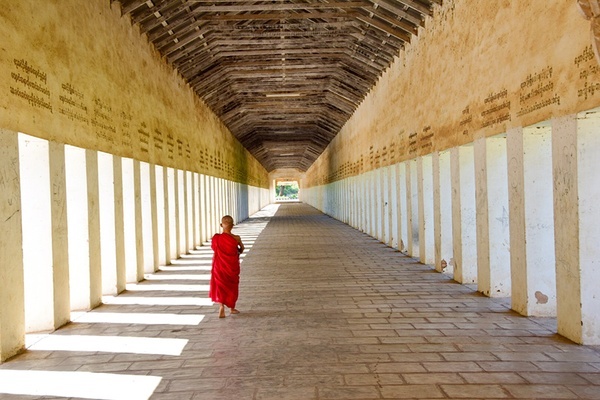 MYANMAR – Once the borders opened to tourists in 2012, Myanmar shot to the top of my travel wishlist. Mostly Buddhist, the country is full of beautiful gold-leaf temples, studious monks, and kind, smiling people. There are seven states, each with its own unique history and terrain. Yangon, the largest city, is bustling and full of commerce; Bagan is home to thousands of temples and majestic hot air balloon rides; quaint Inle Lake is built entirely on water (boats are the only form of transportation); Mandalay is built-up and commerce-driven, with shops filled with lacquer artwork and sterling silver jewelry. 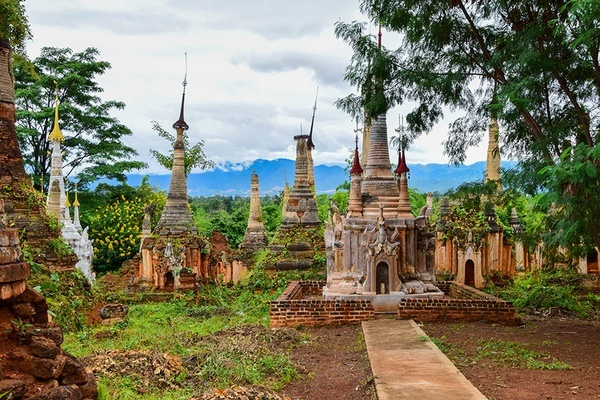 Myanmar is known for its pagodas, many lakes, and welcoming people. 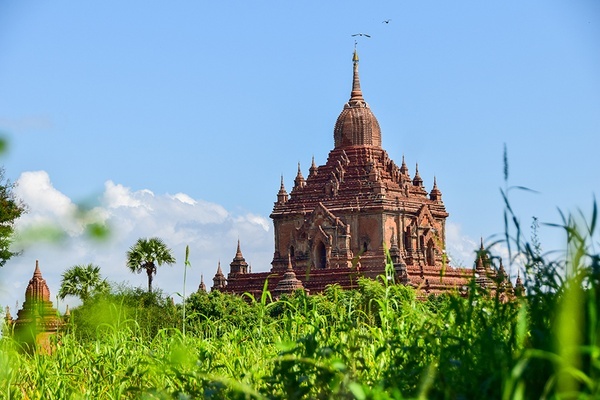 There are thousands of pagodas in Bagan — as far as the eye can see. Most are abandoned, so you can climb to the top for spectacular views of the sunrise and sunset. The best way to capture the breathtaking beauty of this area is by hot air balloon. 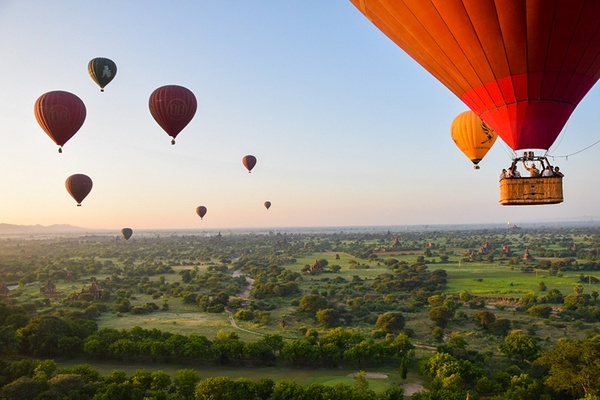 Balloons leave before the sun comes up, allowing travelers to capture the sunrise while getting a bird's eye view of over 2000 stupas. Inle Lake is a village entirely situated on water. 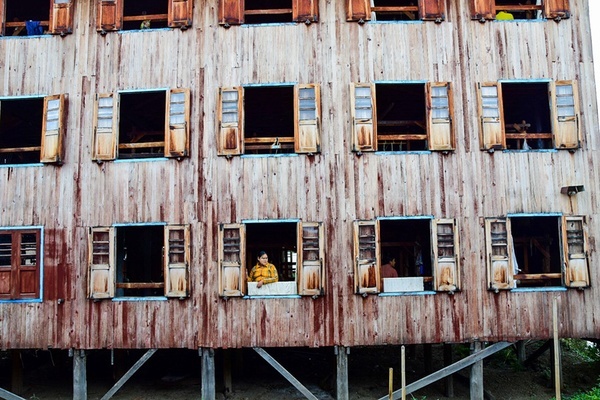 Here, a local woman peers out the window of her floating home. 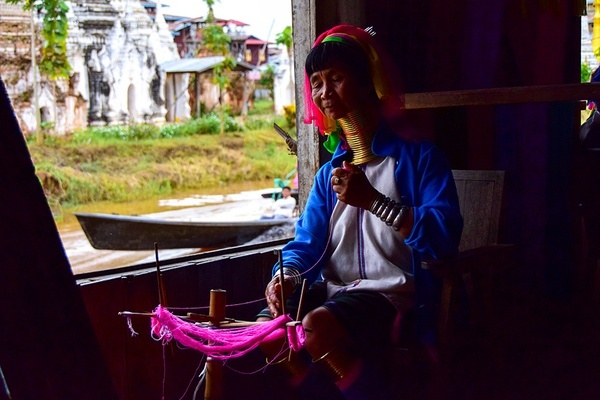 A tribe of long-neck women live on Inle Lake. They support their families by weaving silk into scarves and other garments. Genuine smiles, like these, are a common sight. It's one of the most friendly countries I've ever visited. It's common to see both women and children with white paint on their faces. Derived from the Thanakha tree, the white paste is applied to the skin to help protect it from the sun. Thanakha is also used in times of celebration. 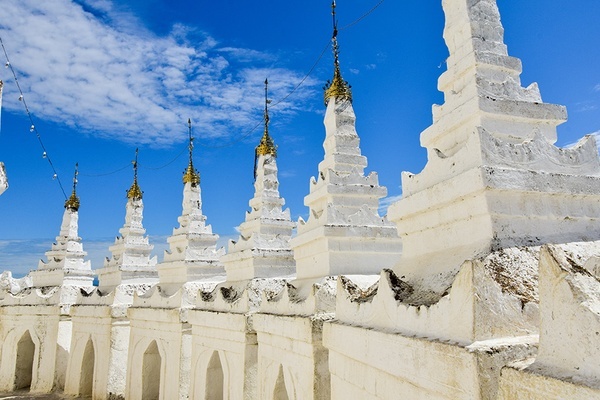 The Hsinbyume Pagoda stands for its bright, white paint. Situated along the Irrawaddy River, it can be accessed by boat from the city of Mandalay. 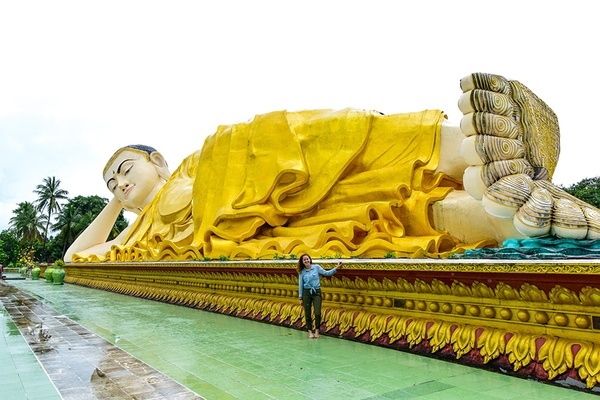 Head to the town of Bago, a one-and-a-half hour drive from Yangon, to catch a glimpse of the large reclining Buddha. 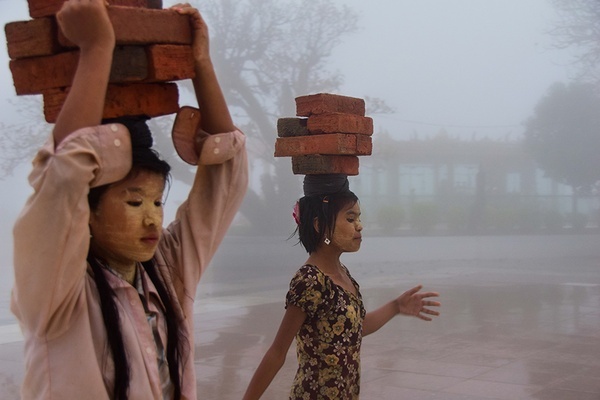 Two girls make their way up to the Golden Rock pilgrimage site during a misty rain storm. 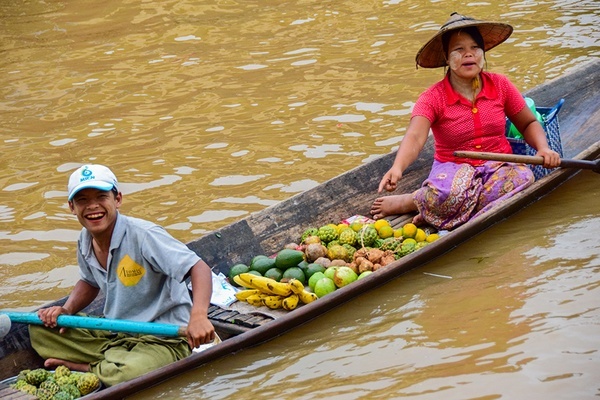 When traveling throughout Myanmar, you'll notice many people with red lips and teeth. This is from chewing on the betel nut, a naturally occurring stimulant mixed with (and chewed like) tobacco. 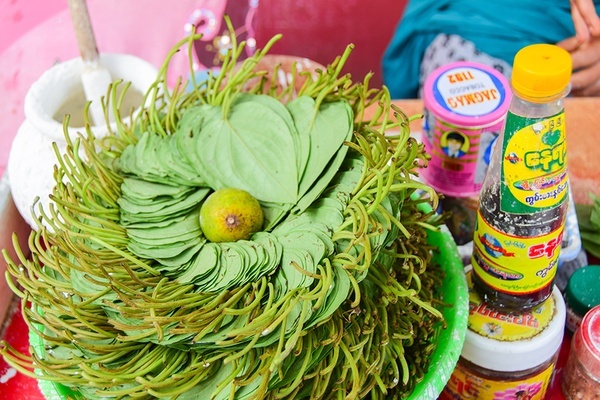 Even in remote parts of the country, you're likely to encounter vendors selling betel nut leaves on the side of the road. 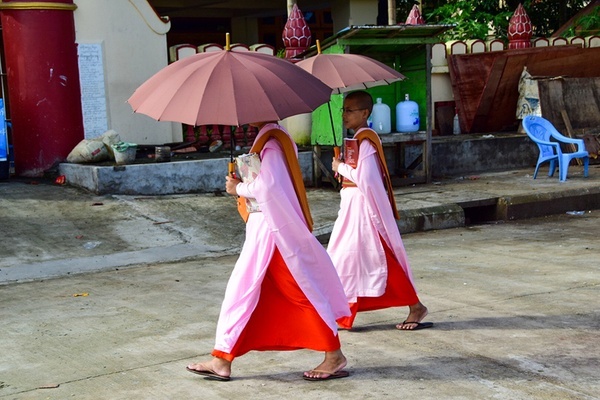 In Yangon, female monks stand out in their bright pink outfits. Indein Village is home to a group of weathered pagodas. Only a short boat ride from Inle Lake, it's an ideal day trip. 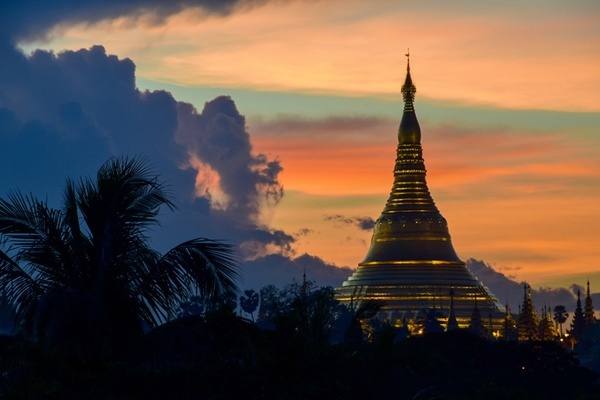 Shwedagon Pagoda is the most famous stupa in Myanmar. Situated in the heart of Yangon, the glistening gold leaf stands out — and for good reason. Twenty-seven metric tons of it was used to adorn the outside. Sofi is a trained chef-turned-food and travel . While planning visits to the next far-off destination, she resides in San Francisco, California. You can follow her on . She travels for the food, letting her appetite guide her, and especially loves arriving at hard-to-reach places. У нашей организации авторитетный интернет-сайт , он рассказывает про отдых в Доминикане.